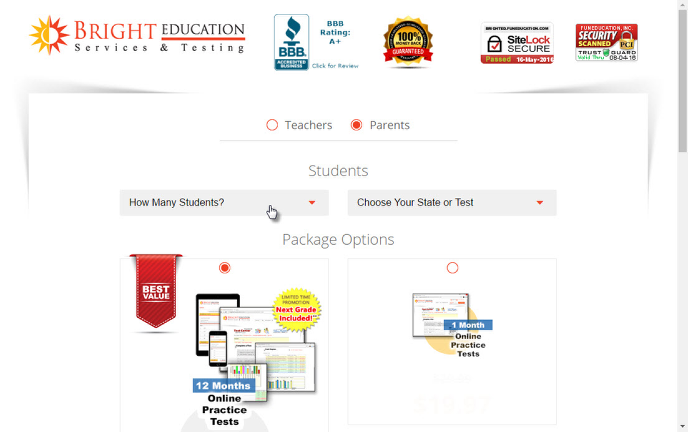 Students can take unlimited tests with us during the subscription period. Once a test is complete the student can review the results of the test as a whole as well as the individual test questions. 1. What is shown to the student? The list of right and wrong answers appears after they complete the test. If you would prefer immediate feedback, we suggest taking the tests 10 questions at a time, that way the child can answer a few questions and then review the answers right away. Our tests allow you to select several options including which subject area to take tests in, how many questions to include in each test, whether or not to include a time limit, and whether or not each test should be different from the last.